To celebrate Lionel Messi winning a record 5th Ballon D’Or, Adidas have unveiled a new set of commemorative Messi 15 platinum boots. 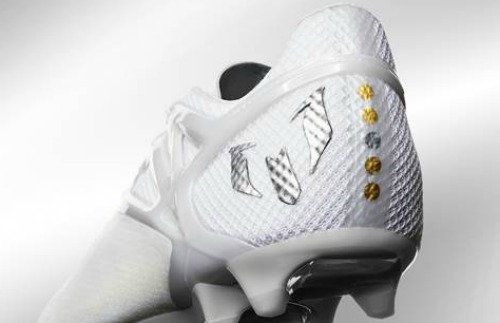 The new Messi Platinum Cleats are based on the current Messi15 range of boots, and use Argentine premium leather, with pure metallic platinum elements added to it. On the insole of the new Messi platinum cleats, the words el mas grande de todos los tiempos (the greatest of all time in Spanish) can be seen. This Messi 15 boot has been designed to enhance Messi’s close dribbling game, and produce more moments of magic that have seen him win fans world over.